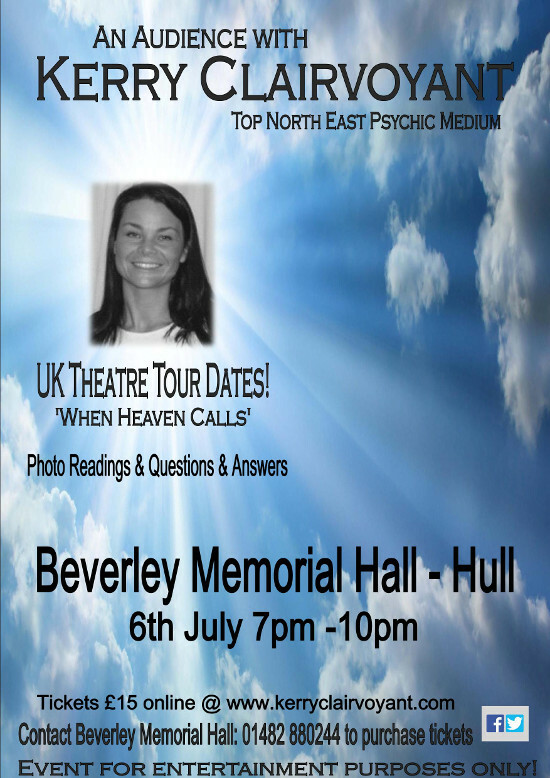 An audience with a Professional Psychic Clairvoyant Medium. Kerry can also do readings from photographs, so bring one along. buy online here or from BMH.